Everywhere you look people are making predictions on what customer service will be like in 2019. But we’ve come to tell you that most of them are wrong. That’s because they are missing a key component to the process. Predictions are tricky, and If you don’t clearly understand the shift in the industry, then all you’re doing is guessing. While major media outlets predict that technology will have the most significant impact on customer service, and AI is going to be taking over jobs in this sector, we’ve noticed that customer service has become more human than ever. That’s because everyone has forgotten a simple principle: people care about themselves. Right now, the media is so focused on the tools, that they ignore the only thing that remains consistent: human psychology. We believe that AI and customer service software is merely a tool. The changes we’ll see is how people interact with them and how companies will use them to give customers a better experience. You need to understand how people think about customer service. What they expect from the modern customer service experience. And which tools and approach you can provide to help them achieve that outcome. Customers are tough to handle. One minute they’re happy – the next minute they’re complaining about your service. But why is that? Because people are complex. They all have different wants, needs, and desires. That’s why you need to simplify the customer service experience as much as possible. Based on our observations, there are 3 things all customers want from an interaction. To be heard: Most people listen to customers in order only to reply. But all customers want to feel listened to and understood. Have empathy for them and pay attention to what they have to say, ask to learn what really matters to them. To be helped: Why do you think most companies say “welcome to “name” how can I help you?” It’s because it works. This is precisely the reason why they contacted you in the first place. They want to be sure that you can solve their problem. To have their problem solved as soon as possible: So much focus is on things like “people don’t use the phone anymore” we need to create “AI customer service” but the truth is, customer’s don’t care how you do it. They just want it done. When they contact you, they want to know that their problem is going to be taken care of as soon as possible. Glossier was built entirely through a customer-centric approach. The CEO and co-founder, Emily Weiss listened to her blog and social media followers and simply built what people asked for. Their customer service the gTeam is unique as well. Instead of using tech to limit interactions with their customers, they are always starting conversations with them. They don’t want customers to feel like they’re talking to a robot. They want them to feel like they’re having a chat with a good friend. This is the part everyone’s been talking about. Here’s how we see companies leveraging customer service software to help them. They will use tools to become more personalized: In 2019, there is no more room for a one-size-fits-all message. There are customer support tools that can gather data and insight into how your customers behave. Companies will leverage this information to create a unique experience for their customers. Tech needs to feel more human. Although customers want to solve their own problems, they don’t want to feel like they’re dealing with robots. That’s why you need to make your self-service option have a human touch. Good design, casual language, easy to use interface, and sales reps at a click of a button one of many that come to mind. Self-service options are a must: Most people use their smartphones to do everything. Millennials and the younger generation don’t really like to use the phone to talk to people (especially customer service), and companies have become aware of that. That’s why most businesses are investing tools with which people can get the answers to their problems – on their own. You see video tutorials, knowledge databases, chat bots, and more devices coming up every day. That’s because people want answers quickly and without having to go through any hoops and hurdles to get there. Wistia, a video hosting and analytics platform, is a great example of the “self-service” option that users love. They create how-to videos that teach you how to use their software. Instead of using a knowledge database, which is usually just a big wall of text, they explain concepts in a way that is easy to digest with an “over the shoulder” feel. This helps users learn more effectively and gives them the ability to help themselves at any time they want. Knowledge Database: Users should be able to access a single page and get all the information they need at a click of a button. However, in 2019, this tool should be used to analyze and improve content, while giving people the best answers based on their unique situation. Customer Feedback Software: Users want to be able to express the things they like and don’t like. This type of software allows you to gain insights into what those things are and adjust your experience to match their expectations. A useful tool should be able to capture feedback, measure and analyze this data, and make it worthwhile to create better service and customer loyalty. A powerful Help Desk should be a great addition to manage the workflows withing the company. Live Chat with Messengers: Customers should be able to talk to a “representative” on any device and communication app they have. It’s not obligatory to use the phone, and they could get answers to their questions quickly and in real time. The key to creating a great experience with live chat messengers is to make them sound human. People hate talking to machines. So you use casual language and respond just like an average person would. Make sure your software can track user activity, measure performance, and generate leads. The railroad company created an AI chatbot named “Julie” to help customers get answers to their questions without having to email and call. You can ask her to get your tickets, information on what to carry on the train, hotels, car rentals, and much more. 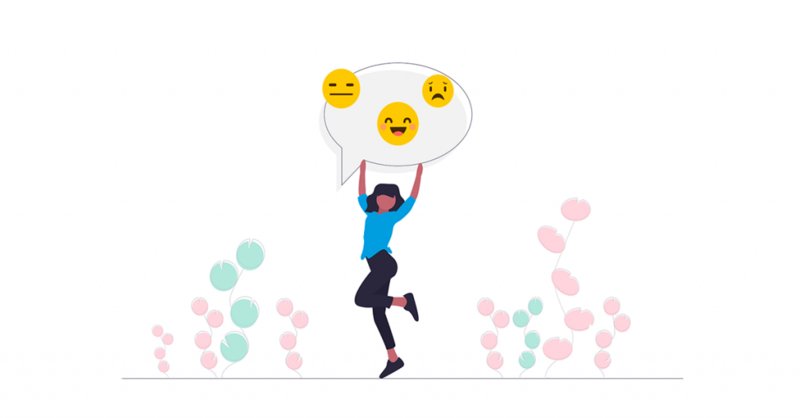 So what does excellent customer support mean in 2019? Although this isn’t a one-size-fits-all definition here are a couple of things that we’ve noticed that will only increase in 2019 and set the standard of what customer support will mean to people this year. AI will only take over low-level tasks: Most people fear that AI is coming to take their jobs at any minute. However, that couldn’t be further from the truth. In 2019, it’s going to be used as a tool to take care of the smaller tasks, so customer service agents can focus on bigger problems (taking good care of customers.) Simple tasks such as changing your address, making a request, etc are most likely to be made through AI technology. Customer service will rely on data: What was once an area of intuition and human psyche will now have the technology available to quantitatively measure success. What gets tracked gets measured. And what gets measured gets improved. Data will be used, analyzed, and optimized in order to provide the best customer service experience possible. If you’re looking for a simple and all-in-one customer support service solution, designed to make your customers happy, then be sure to click below to create a free trial or schedule online demo.